Neal will be delivering two assemblies with pupils from Nursery to Year 6. He will then be in the playground at the end of the afternoon to do a book sale. 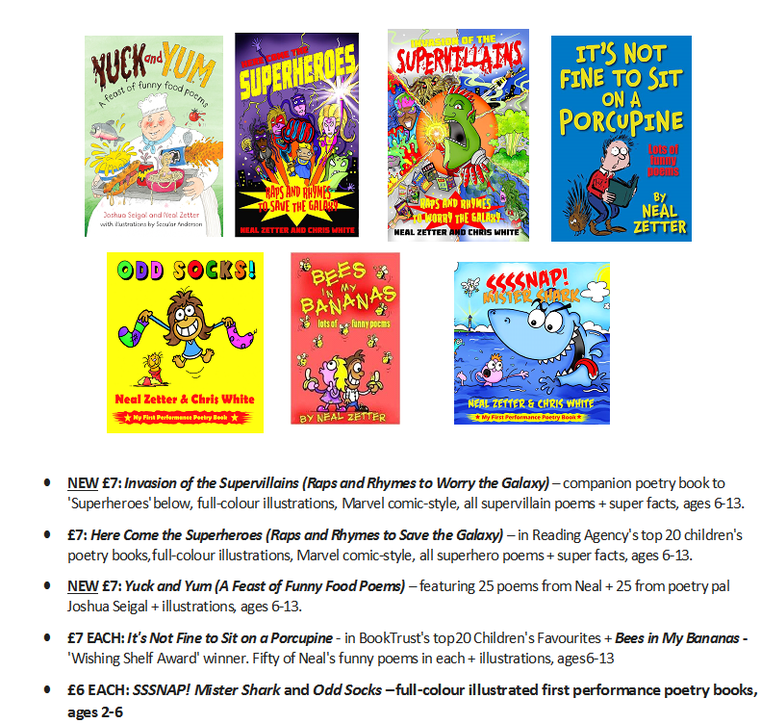 If you wish to place orders for his signed/dedicated books OR buy them after school on the day (cash only please), please completed the order form circulated and return to the school office before Neal’s visit.